It has been too long, I have to catch up! July marks the second year anniversary of Writealetter.org. I am proud of what’s been accomplished thus far and I am grateful for all the valuable contacts this website has attracted. I find myself now more strongly committed to supporting and promoting the handwritten letter, as electronic communication intensifies. Notice the people on the street. Too many of them are either cupping their cellphones to their ears or they are mesmerized by the gadget in their hand, generally texting away their awareness of their environment with oncoming traffic, the fountain just ahead, or that manhole one step beyond! I wonder, can we retain some individual humanity in this ultra-techno culture in the form of a signature or a few lines of personal script? Fortunately, I have found many like-minded souls, those who still enjoy writing letters. In fact, I now have two dozen pen friends. They are lovely people from all walks of life, who share their life stories in exchange for news of my adventures. But let me get back to what’s new? On the national scene, the Post Office is in limbo until after the November election. Like so many of the problems caught up in the political bickering in Washington, the fate of the USPS is unknown. And sadly, postal management doesn’t appear to have the vision necessary to grow the business. Yes, I make calls to legislators when it’s timely to do so, but that doesn’t feel adequate somehow. 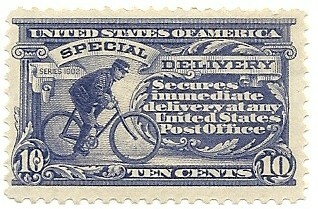 My hope lies on the outside with the trillion dollar industry that depends upon the healthy future of the USPS. Last month, I felt compelled to do something positive for the cause, so I contacted Rafe Morrissey, V.P.of Postal Affairs with the American Greeting Card Association. I sent him all the ideas I could think of to promote personal correspondence. He told me that there is a third of this country that does not have internet access! Therefore, ONE THIRD OF AMERICA relies solely on the mail service for their correspondence. That’s a lot of people. I think of folks in rural areas, the poor, and the elderly. How this will all turn out is anybody’s guess. Why Postmaster Donahoe isn’t demanding that Congress release the USPS from the $5.5 billion annual requirement for future retirees’ health care, makes no sense. 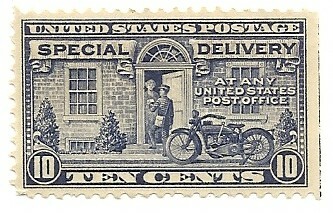 He stated that if it wasn’t for that financial burden, the Postal Service would have turned a recent profit! Somehow the Post Office will survive. It’s lasted for 236 years now. In the meantime, keep writing letters and cards, and I shall keep delivering them.